Stop the needless and highly unsafe whacking like an ax murder! 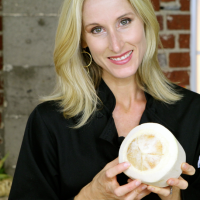 Raw food chef Joy Houston shows you a safe way to open young coconuts. There are better ways to make new friends that visiting the emergency room.